lc blogs: POTUS: march madness: action shots. 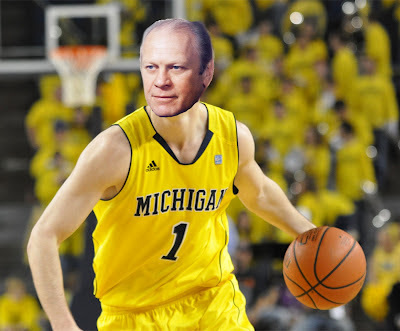 At an even 6'0, Gerald Ford is a bruiser of a point guard. 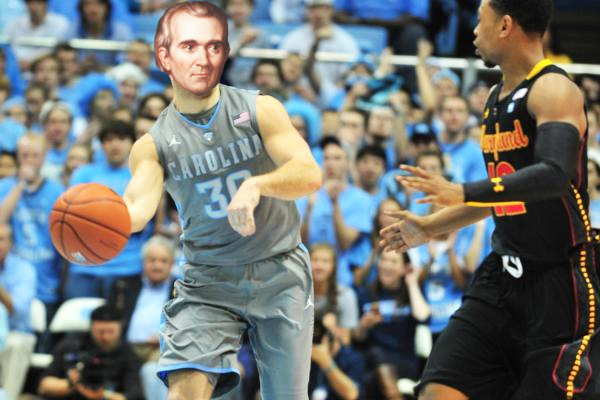 The man has ice in his veins. 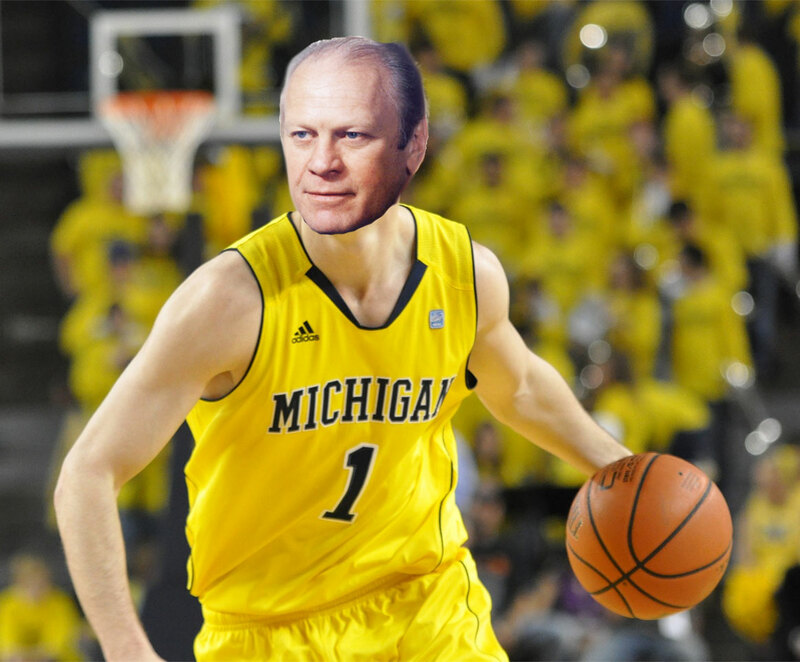 He was a bench warmer for years until getting the call late one night and learning that the two PGs in front of him on the depth chart had resigned from the team. 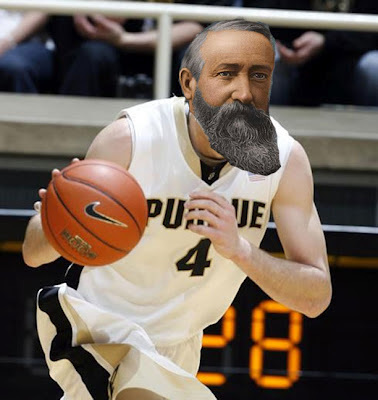 Benjamin Harrison's 5'6 frame is not intimidating in the least, but he's got the pedigree. 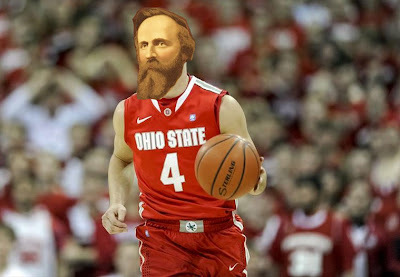 Coming in at just a smidge under 5'9, Rutherford B. Hayes is ready to reconstruct the tOSU backcourt game. James K. Polk may be the smallest shooting guard UNC has ever had at 5'8, but his experience in playing ball with Mexico has made him fierce. 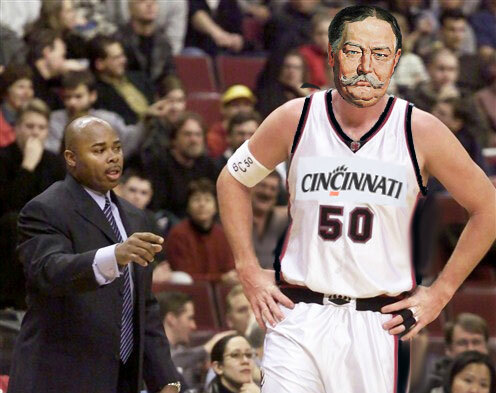 William Howard Taft is the definition of "power forward" with his 300-pound, 5'11 frame. At times, he has breathing problems and he prefers the finer things in life to sweating and running, but when's on his A-game, he's average and that's all you can expect from most obese basketball players. 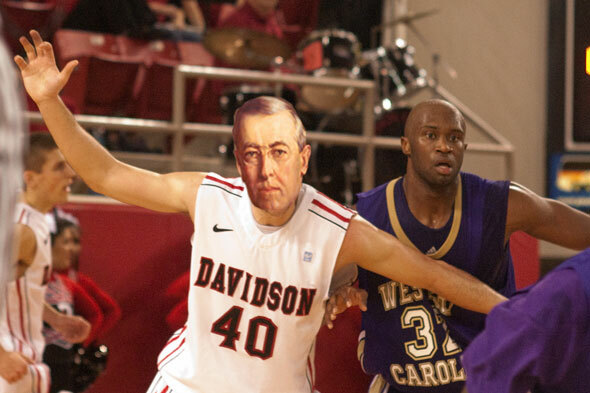 At 5'11, Woodrow Wilson is an interesting pick to play Center. 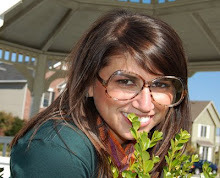 However, he's smart and resourceful, so it works.